For the second meeting in a row, Vassalboro selectmen were able to take care of one of the recurring items on their agenda, leaving others for future discussion (see The Town Line, Nov. 8). After analyzing options for switching to LED streetlights, board members unanimously directed Town Manager Mary Sabins to continue conversations with Central Maine Power Company about converting the lights without changing companies. Other companies offer LED conversions, and Board Chairman Lauchlin Titus said Vassalboro could have asked for bids. However, dealing with another company would require buying the lights from CMP and would make maintenance a town responsibility. Left to be re-discussed at one or more future meetings were the police chief’s job description, emergency services dispatching, possible acquisition of the Riverside fire station and renewal of Vassalboro’s cable franchise. The job description for the police chief, currently Mark Brown, has become increasingly controversial, with Selectman John Melrose focused on the reality of a 15-hour-a-week policeman having limited time and therefore, he recommends, limited duties and others, including Brown, preferring more flexibility. Brown and Sabins prepared a draft description that Brown defends and Melrose wants changed. Titus said he could accept either version. For example, Melrose does not want Brown to spend time on traffic duty, which he envisions as sitting by the roadside waiting for speeders. Selectman Robert Browne wants Brown to be able to respond to residents’ complaints about persistent speeding on certain roads. First Responder Peter Allen added that there have been complaints on social media about vehicles passing stopped school buses; he doesn’t think state police or sheriff’s deputies have time to trail buses. Melrose also wants court appearances deleted from the job description. Sometimes, people pointed out, the local police officer has to go to court. The discussion ended with suggestions about dividing the draft document into a mission statement, a policy statement and a job description before presenting it to a future meeting. Selectmen sought information on the future of emergency services dispatching from Kennebec County Sheriff Ken Mason and Cliff Welles, head of the state’s Regional Communications Center (RCC) in Augusta. As of June 30, 2019, Welles said, the RCC will discontinue dispatching law enforcement personnel, although it will continue to serve area fire departments and rescue units. Mason said the sheriff’s office has two options. He could help support an expansion of the city of Augusta’s dispatch center, which now serves Augusta and Hallowell, and contract to use its services; or he could invest in equipment and personnel to set up a KSO communications center, but only if every area town on a list he compiled joins. In addition to a communications center, Vassalboro and other municipalities need a PSAP (Public Safety Answering Point) where 911 calls are answered and referred to the appropriate center. Vassalboro selectmen did not attempt to decide what to do. Whatever they choose, Titus concluded, will be more expensive than the current system. The Riverside fire station belongs to the Riverside Hose Company, which firefighter Mike Vashon said exists only on paper, under a deed that says the land reverts to the prior owner if it is not used by the fire department. Town officials have said the prior owner is probably long dead and his or her heirs are unknown. Selectmen are considering asking voters to buy the property and lease it back to the fire department. Vashon said firefighters attending the department meeting earlier in the week voted unanimously in favor, and further authorized having the property boundaries surveyed. Rowe and Wendell, of Waterville, will do the survey at an expected cost of $1,500 to $2,000, he said. Selectmen agreed the cable franchise renewal process seems to be confusing. Sabins said she is waiting for a reply to queries. 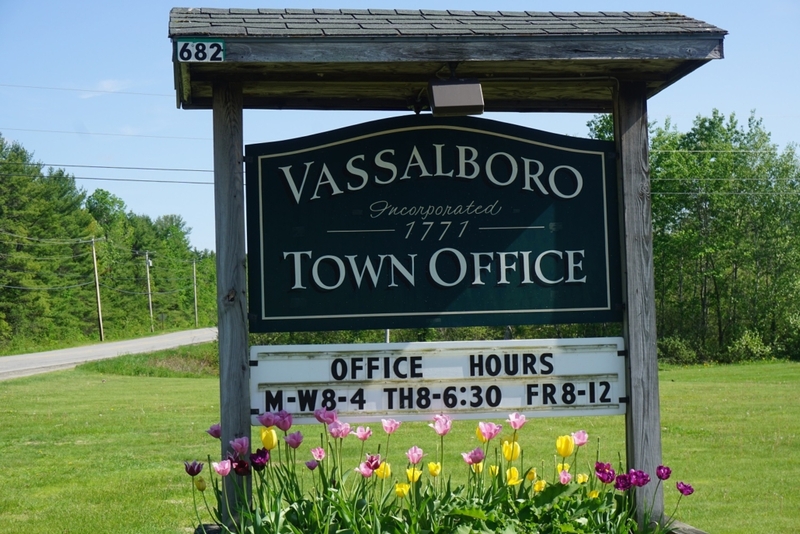 Vassalboro’s current contract expires in March 2019. The next regular Vassalboro selectmen’s meeting is scheduled for Thursday evening, Dec. 6, a gap of three weeks instead of the usual two weeks.